Bad weather in the winter can make driving terrifying. You may see lots of car accidents during snowstorms. The Centers for Disease Control and Prevention (CDC) estimates that over 30,000 people die in car accidents every year in the U.S. These car accidents cost about $44 billion in medical care and work loss. And that’s only looking at fatal car accidents. This figure doesn’t account for costs that lead to property damage, injuries and permanent disabilities. The cost of these accidents is mostly borne by insurance companies, victims and healthcare providers. All of these things can be a huge financial burden and have the potential to ruin your credit score. Even though the circumstances that lead to this kind of debt may not be your fault, you may still be responsible for a lot of the costs. Like any other debt, if you don’t pay it, it can negatively impact your credit score. Car accidents don’t directly impact your credit score. They aren’t reported to the credit bureaus. Your credit report only contains debt related information such as credit accounts and public records. If you incur debts from the accident and don’t pay them, they can be sent to a collection agency and hurt your credit score. It’s important to regularly review your credit reports to make sure all the information on them is accurate. Your credit reports can also give you an idea if any car accident related debts are being reported that you need to resolve. 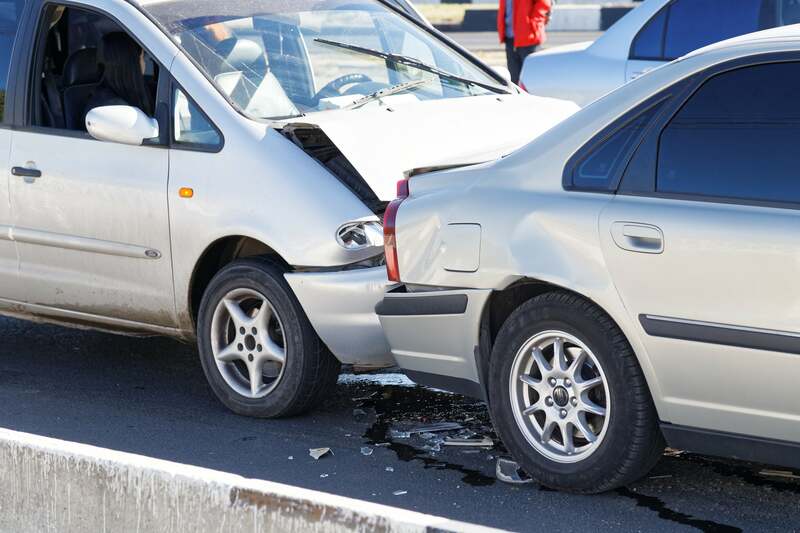 Car accident claims can increase your insurance premiums. Even if you’re only partially at fault, your insurance company might start viewing you as a high-risk. The slightest increases can add up to a lot more money. If the accident was so bad that you need a new car, you may also end up paying higher premiums. According to the World Health Organization, approximately 1.35 million people lose their lives each year due to road accidents. Another 20 – 50 million people suffer non-fatal injuries that may lead to disabilities and lengthy hospital stays. In many cases, you’ll find that your medical and car insurance cover the cost of your treatment to a point. After that, depending on how extensive your coverage is, you might be on your own. Depending on how lengthy and costly the ensuing treatment is, you may end up owing thousands of dollars in medical bills that could ruin your finances and your credit. If your car was damaged, you might have to pay for repairs. If it was totaled, you might have to pay for what you owed on the car and put up the money for a new car. Having to do either of these can result in hefty payments. Even if you have an emergency fund, the cost of the repairs or a new car can leave you a little less financially secure. Luckily, there are ways to protect yourself against these unforeseeable circumstances. Have an emergency fund. It’s never a bad idea to save for emergencies. A good rule of thumb is to try to save 20% of your paycheck. If you can save enough money to cover six months’ worth of expenses, then you’ll be in better shape if you have a car accident. Have a credit card for emergencies. Most Americans have more than one credit card. You can set one of those credit cards aside for emergencies only. If you do this, make sure that you try to avoid maxing it out. If you can, try opting for a credit card that has low interest, no annual fee, and a high credit limit. If your savings don’t cover all of your costs, then a credit card can be a good backup. Get a loan. If there is going to be a significant amount of time between the accident and the settlement, you may find yourself needing money to get through. One other option is getting a personal loan to help with expenses. The interest rate will depend on your credit score and the lender you go through. When you have a higher credit score, you’ll have access to loans or credit cards with good interest rates if you need to get one because of the costs associated with a car accident. Check your credit score for free today at Credit.com to see where you stand. We’ll give you two credit scores updated every 14 days. We’ll also provide you with a summary of your credit report along with tips to help you get your credit on track.